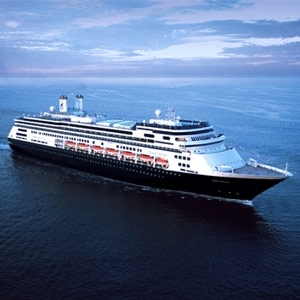 Set sail from Ft. Lauderdale on classic Amsterdam with Cruise Specialists for an adventurous 113 days that only Holland America Line can deliver. 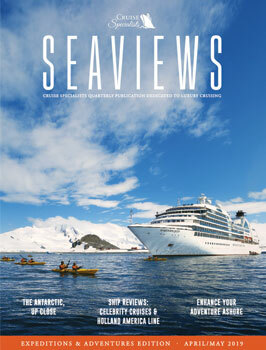 You will experience 27 countries, 6 overnight stays and visits to unique ports around the globe. For example, the San Blas Islands, just off the coast of Panama, is a pristine destination that is home to the Kuna people. You will have the opportunity for a close encounter with the dramatic Moai statues of Easter Island. Indonesia, its picturesque scenery and friendly locals is always a favorite stop along the way. UNESCO World Heritage Sites abound throughout this magnificent world cruise. All of this on a convenient roundtrip U.S. voyage! Limited Availability, Please Call for Details. Voyage Hosts, Private Events and Exclusive Shore Tour Program! Ask About Pre-World Los Angeles to Ft. Lauderdale via the Panama Canal! Fare shown is per person based on double occupancy of the minimum available stateroom, cruise only and in US dollars and assumes Grand Mariner status. Fare for guests without Grand Mariner status is $500 per person more. Many other categories available, ask for rates. Please call for Solo Traveler rates. Government taxes, fees and port expenses are additional. Cruise Specialists host and onboard amenities require minimum participation and are subject to change. We reserve the right to correct errors.